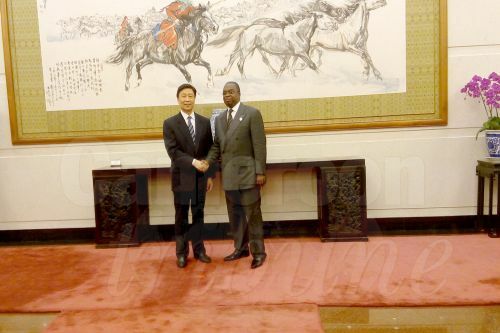 The Prime Minister, Head of Government, Philemon Yang, on behalf of the Head of State, held discussions with the Executive Director of SMART Africa, Malian-born Dr. Hamadoun Touré. 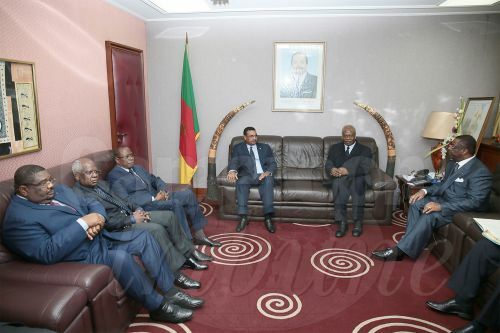 The talks that lasted for about one hour at the Star Building yesterday August 4, 2016, enabled the Prime Minister and his guest to discuss strategies for Cameroon to play a leading role in the pan-African organisation whose objective is to promote the use of Information and Communication Technologies (ICTs) in the continent. 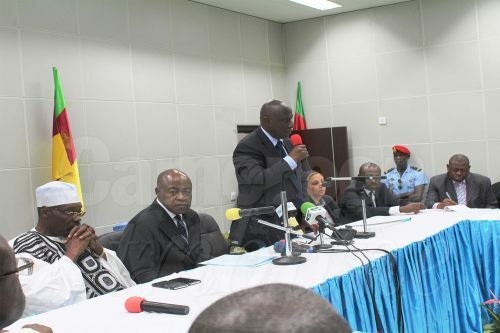 Dr. Touré, who is also former Secretary General of International Telecommunications Union (ITU), said Cameroon has a good vision for the development of ICTs which falls in line with SMART Africa’s objectives. President Paul Biya’s instruction to the government to develop ICTs and the recent announcement of the President’s donation of 500,000 laptop computers to university students, Hamadoun Touré said was an important step in the promotion of ICTs. Cameroon, he added, can play a major role in the organisation launched in 2013 with headquarters in Kigali, Rwanda. 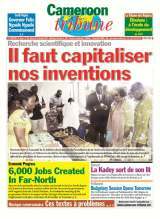 He said ICTs are today indispensable for sustainable development which is the policy of Cameroon government.